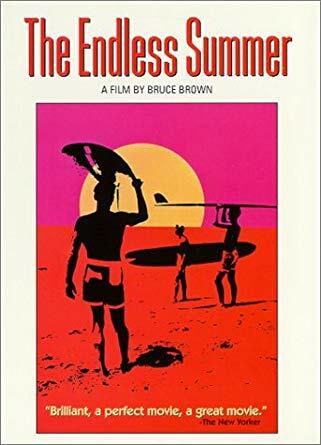 Before there was sunscreen, high-tech wet suits, and corporate-sponsored surfing competitions, there was Bruce Brown, the original beach bum and the director of the greatest surf movie ever made, The Endless Summer. This 1966 documentary spurred a generation of surfers to devote their lives to surfing and compelled people in places far away from California and Hawaii to take up what was, at that time, still a faddish and exotic sport. It’s built around a simple but brilliant concept: Two champion California surfers, Mike Hynson and Robert August, take a trip around the world, following the seasons so that wherever they go, it's always summer. From Australia to Africa to Tahiti, they travel the globe in search of the perfect wave. In one of the documentary’s most memorable scenes, they instruct African tribal villagers who have never seen a surfboard in the fine points of hanging ten. Technically primitive by today’s standards, the film’s 16mm cinematography nonetheless captures the lyrical beauty of ‘60s long-board surfing. Brown supplies the witty running narration and injects the film with frequent doses of goofy, slapstick humor. The Endless Summer is as laid back and fun loving as its surfing protagonists; yet, despite its utter lack of pretension, there is ultimately an underlying poetry in the surfer's' quest for an ideal.